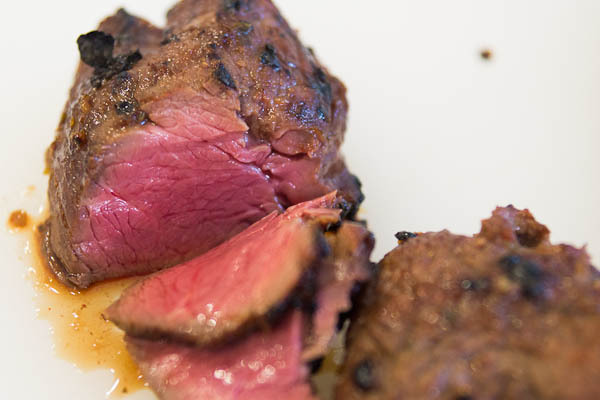 Last week we talked about all the ways to make your grilled meat irresistibly tender. This week, let’s put that knowledge to use by making some Korean-style grilled beef. If you’re looking for an alternative to the usual steaks, chops and kebabs for your next summer shindig, consider throwing a Korean barbecue. You can marinate a few cuts of meat in this marinade up to a couple days in advance, prepare some Namul and Japchae, then just grill up the meat. 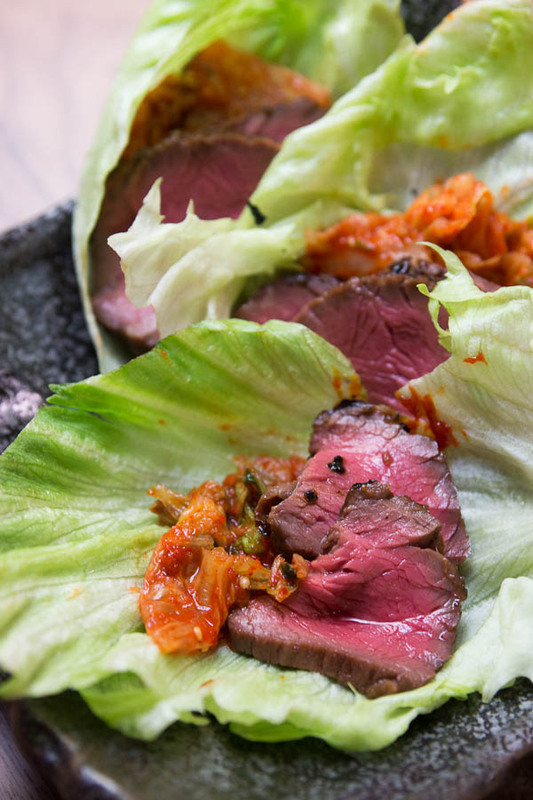 Your guests can wrap the grilled beef with kimchi, and rice in the lettuce leaves to make Ssam, Korean lettuce wraps. Making SSam with lettuce or other leaf vegetables, is not only a healthier way to enjoy your grilled meat, it’s a lot easier to eat while standing. The marinade is a sweet and savory blend of honey, soy sauce and sesame oil, redolent of garlic and ginger. The kiwifruit helps breakdown the tough connective tissues in the meat, making it very tender. It works great with L.A. Galbi (short ribs cut through the bone), but you could also use thinly sliced sirloin to make bulgogi, or even a steak. If you’re not much of beef eater, try marinating pork, chicken or lamb. The kiwifruit works for any type of meat. While it may sound like a geographically unlikely combination, kiwifruit actually originated in East Asia. It wasn’t until about 100 years ago, when it was brought to New Zealand, that the cultivars we eat today were developed. The fruit was even called “Chinese Gooseberry” until it was renamed for marketing reasons in the 1950’s after the fuzzy brown flightless bird that looks a lot like the fruit. Don't feel confined to the usual steaks, chops and kebabs when grilling. 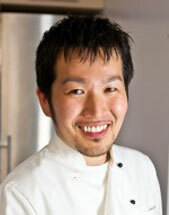 Shake things up with Marc Matsumoto's recipe for Korean-style grilled beef in a full post on the Fresh Tastes blog. Add the soy sauce, soju, honey, kiwifruit, sesame oil, ginger, garlic and scallions to a Ziploc bag. Seal the bag and mix until all the ingredients are combined. 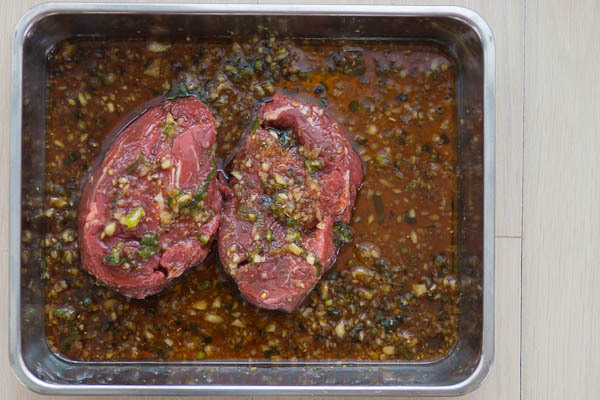 Add the beef to the bag and marinate for at least one day. Grill the beef over medium high heat. If the fire is too hot, the beef will burn because of the sugars in the marinade. If you don’t have a grill you can also do this in a broiler or a hot cast iron skillet with some oil. After the meat is cooked to your desired doneness, let it rest for a few minutes, then slice it up. Serve with lettuce leaves and kimchi to make wraps.